In addition to providing Parish, Mission and Program assistance, the Catholic Foundation awarded $35,500 in Humanitarian Grants. These grants were made possible by the Msgr. Delaney Humanitarian Fund. 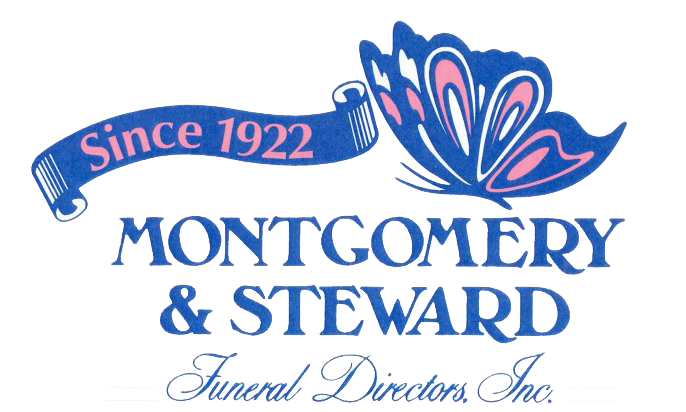 Please visit this link for a full listing of grants. Thank you to our donors! It is through their contributions that the Catholic Foundation is able to support those who seek to strengthen and enrich their faith. Purpose of Grant: Funds to assist students from all five (5) college campuses to attend the Awakening Retreat in 2019. Purpose of Grant: Funds to purchase audio-visual equipment, software programs, textbooks and other materials to support faith formation. Purpose of Grant: Funds to purchase a variety of informative, religious pamphlets and to defray the travel expenses for multiple youth retreats. Purpose of Grant: Funds to assist students with registration fees to attend their confirmation retreat at Beaver Creek Youth Camp. 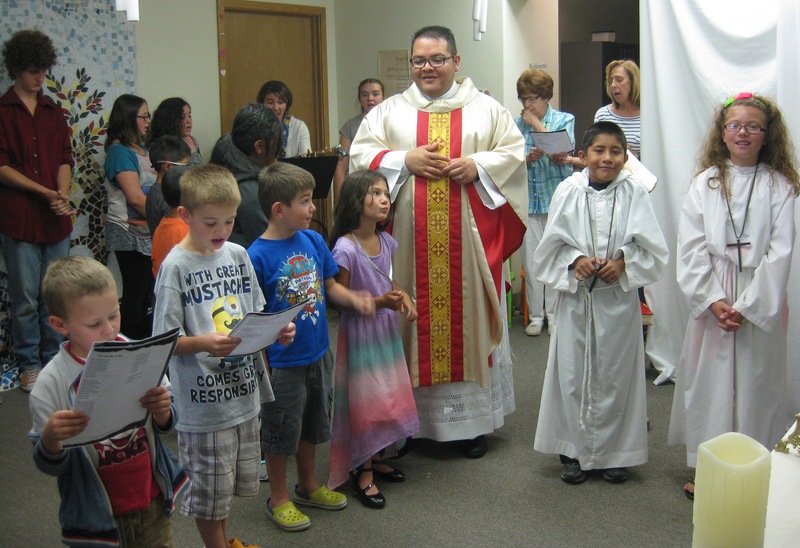 Purpose of Grant: Funds to access FORMED, an online catechetical program that provides sacramental and faith formation resources for catechists and parishioners to use at church and at home, plus funding to defray the Catechetical Day expenses. Purpose of Grant: Funds to provide a variety of faith formation supplies for the San Juan Catholic Community, including two laptop computers. Purpose of Grant: Funds to purchase VBS supplies and to assist youth with travel expenses to attend Steubenville of San Diego. Purpose of Grant: Funds to purchase a laptop computer and subscribe to FORMED, an online catechetical program. Purpose of Grant: Funds to defray the travel expenses for youth attending World Youth Day 2019. Purpose of Grant: Funds to send two lay ministers to the Southwest Liturgical Study Conference in Houston, TX. Purpose of Grant: Catholic education tuition assistance. 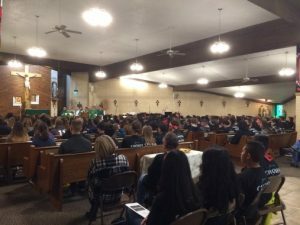 Purpose of Grant: Funds to defray the speaker and musician expenses for the 7th Annual Southwest Catholic Youth Conference. 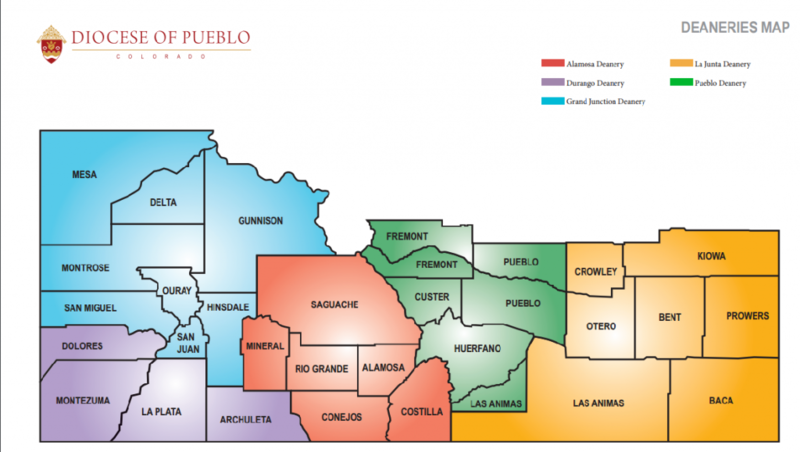 Purpose of Grant: Funds to provide deanery-wide Ananias training for leadership staff in all ten (10) La Junta Deanery parishes. Purpose of Grant: Funds to purchase audio-visual equipment for use in the parish hall in order to increase the effectiveness of faith formation, Disciple Days and fellowship gatherings. Purpose of Grant: Funds to defray the expense ofproviding 3-day Ananias training for parishes in the Pueblo Deanery. Purpose of Grant: Funds to assist with speaker/musician expenses for the 2019 Catholic Youth Festival, plus assist with facility fees and to provide scholarships. In 2018. the annual Catholic Youth Festival took place on February 11 and 12 at St. Joseph Parish in Pueblo, CO. This year’s theme was “CHOSEN” as taken from 1 Peter 2:9. Steve Angrisano, a nationally known ministry leader, was the guest speaker spreading the message of faith, hope and love woven throughout music and storytelling. 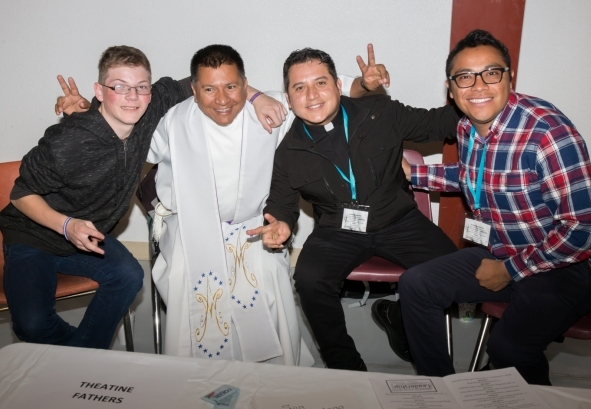 The purpose of this two-day event, which hosted approximately 475 middle and high school teens, was to strengthen families through evangelization, introduce youth from various parishes to each other and give them a place to ask important questions. 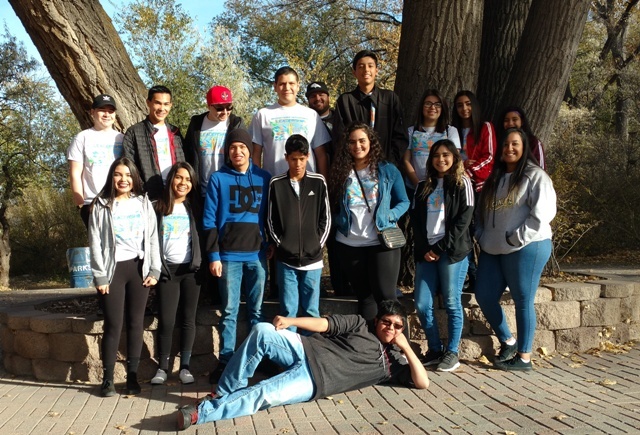 Youth from parishes in Pueblo, Avondale, Capulin, Lamar, Florence, Springfield, La Junta and Canon City as well as St. Therese and St. John Neumann Catholic Schools attended this event. 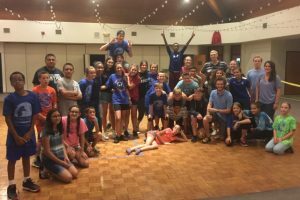 Middle school and high school teens alike not only witnessed adult ministry at work but also witnessed their peers minister as well. Activities throughout the two days included fellowship, reconciliation and singing. One of the fun activities teens worked on was their version of “Flat Bishop,” similar to the famous Flat Stanley story. They cut out an illustrated version of Bishop Berg to color creatively. The hope is that “Flat Bishop” will be shared by our youth through social media all across the diocese and beyond during this 75th anniversary year. Another important component of this festival featured a talk by Fr. Carl Wertin concerning vocations. Fr. Wertin spoke with youth about finding their calling and discerning their vocation through prayer. The festival concluded with a Mass by Bishop Berg at St. Joseph’s. As part of our Parish and Mission Assistance program, the Catholic Foundation helps parishes and missions strengthen their role as beacons of faith, hope and charity. 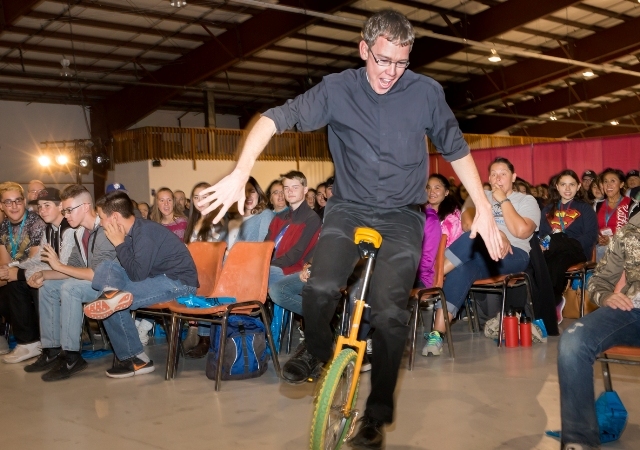 This youth festival was the perfect way for us to shine a light on evangelization. 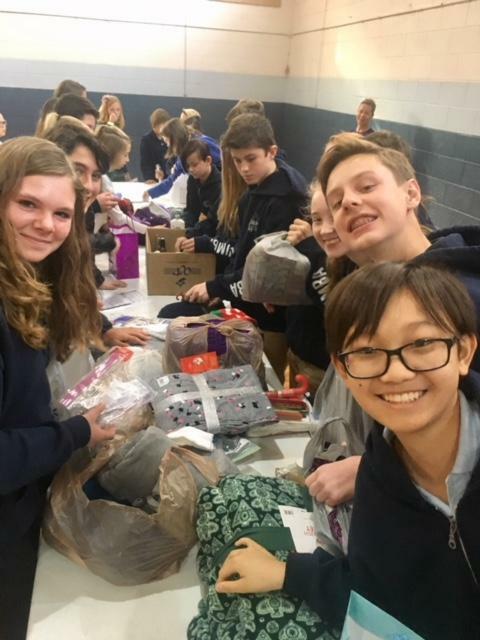 The Catholic Foundation granted $4,000 to the festival to help pay major expenses, such as food for teens and adults for two days, hall rental, and the guest speaker. We look forward to the Catholic Youth Festival on February 10-11, 2018 featuring Jesse Manibusan at St. Joseph Parish in Pueblo, Colorado. 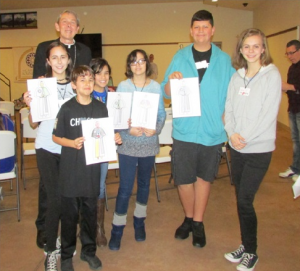 Purpose of Grant: Funds to support the week-long, JUST-5 middle school ministry retreat for students across the diocese, held in San Luis. Purpose of Grant: Funds to support Catholic Newman Club activities at Centennial, Central, East and South High Schools where teens discuss their Catholic faith while sharing a meal. Purpose of Grant: Tuition assistance. Purpose of Grant: Funds to purchase audio-visual equipment for use in the youth ministry program and in confirmation classes. Purpose of Grant: Funds to purchase audio-visual equipment for use in faith formation classes. Purpose of Grant: Funds to defray the fees to provide quarterly, 2-day, faith formation retreat opportunities for men, women, couples and youth. Purpose of Grant: Funds to purchase a projector, class room partitions, and tables and chairs for use in faith formation classes. 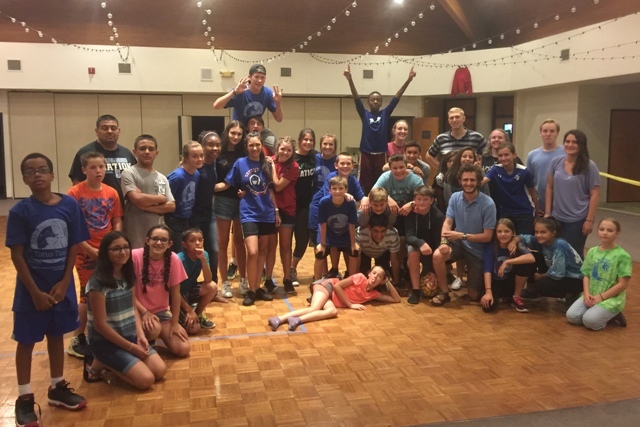 Purpose of Grand: Funds to support VBS, provide a service retreat for middle school and high school students and to purchase a computer and printer for the youth ministry program. Purpose of Grant: Funds to purchase faith formation textbooks, lector workbooks and miscellaneous liturgical supplies. Purpose of Grant: Funds to support students with travel and conference expenses, assisting them to attend the 2018 Southwest Catholic Youth Conference in Farmington, New Mexico. Mt. Carmel Youth attend S.C.Y.C. Purpose of Grant: Funds to purchase Edge Middle School program and to provide support for Middle School Newman clubs. Purpose of Grant: Funds to purchase a laptop computer, a desktop computer and wi-fi equipment for the faith formation program. Purpose of Grant: Funds to support Vacation Bible School opportunities and expand the Life Teen Program. Purpose of Grant: Funds to provide parish leadership skills through the Ananias training program and through the Making Disciples program. Purpose of Grant: Funds to obtain and implement Theology of the Body for middle and high school faith formation students. Purpose of Grant: Funds to purchase audio-visual equipment to use with worship and with faith formation. Purpose of Grant: Funds to pay registration fees for youth and chaperones to attend and participate in the Catholic Heart Work Camp in Denver. Purpose of Grant: Funds to continue development of the family faith formation program, plus funding for family faith retreats. 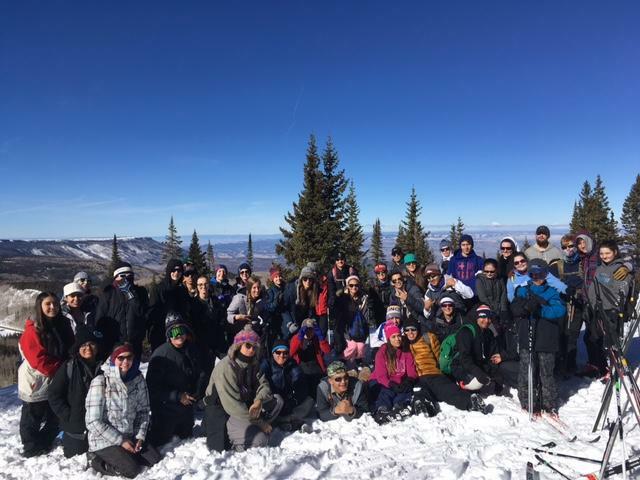 Purpose of Grant: Funds to provide several retreat opportunities for students attending Mesa College. Purpose of Grant: Funds to access FORMED, an online catechetical program to be used be used by bothe parishes, adult formation, RCIA, marriage and sacramental preparation as well as Bible study classes. 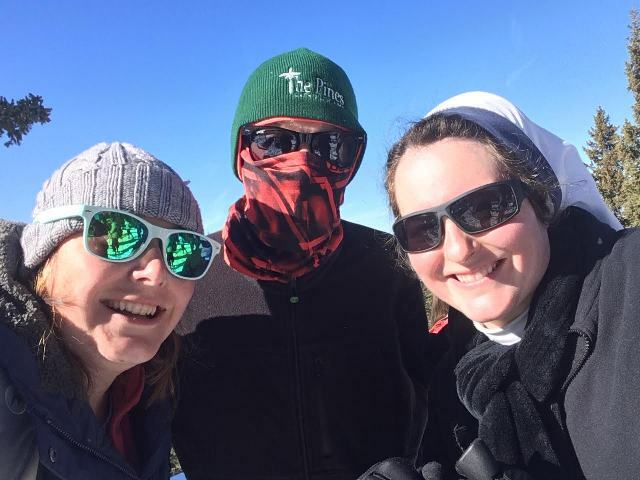 Purpose of Grant: Funds to assist youth traveling to the Southwest Catholic Youth Conference, as well as support for Newman Club activities and to promote parent ministries. Purpose of Grant: Funds to purchase defray the confirmation retreat expenses to Mother Cabrini Shrine, plus support for Advent and Lenten confirmation activities. Purpose of Grant: Funds to assist Grand Valley high school students with Catholic youth retreat expenses to Camp Cedaredge. 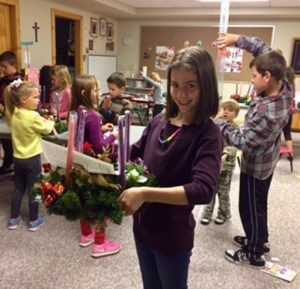 Purpose of Grant: Funds to support faith formation programs K-10, Vacation Bible School, Newman Club activities and youth ministry programs. Purpose of Grant: Funds to help purchase new religious formation textbooks, supplies for the children’s music ministry, plus funds to waive registration fess for the faith formation classes.